If I ever get back into goats I will have to get another Nubian doe. I had one called Nana, and she was one of the sweetest goats I’ve had the pleasure of owning. Nana had an adoring personality despite the conditions she came from. 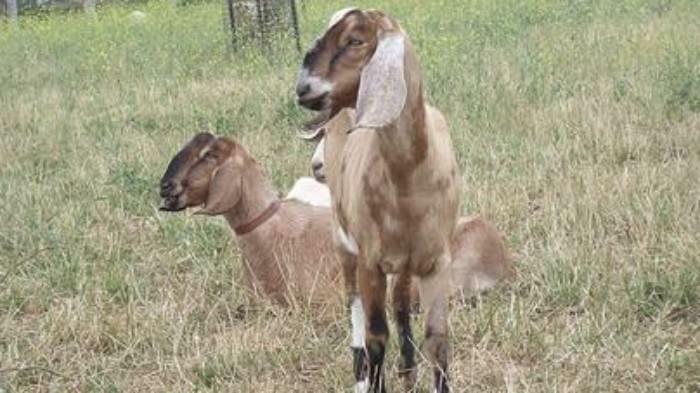 The former owner kept too many goats in a small space, which turned the ground in their pen to constantly wet muck, and he was often rough handling the goats. Nana’s hooves suffered, as did her arthritis. She improved when we put her into our barn, which was on a good amount of land she and the herd could openly graze, and we could take the entire herd for mile long hikes over a variety of terrain. Though we fed Nana and our other milk goats a COB grain mixture (Corn, Oats, and Barley) with molasses, they also ate a variety of plants that enriched the milk, as well as passed allergen immunities through the milk. Speaking of the milk, Nana was able to produce a gallon a day at her peak. The milk was rich and sweet with high butterfat content, and when we couldn’t drink or cook with all of it we used the milk to ferment dried corn overnight to feed to our pigs. The only problems Nana had health wise were her hooves, which had been warped during her stay in the perpetually wet pen. We kept up with trimming them, but some damage couldn’t be undone. Her stay in our pasture was comfortable, though, so she improved more than she would have anywhere else. We also had problems with CL Caseous Lymphadenitis, which was hard and gross to deal with. If you want to get into milk goats, then a Nubian is definitely a good choice, especially if you have different ways of utilizing all the milk they’ll produce. We drank it, of course, but we also used it to make things like Irish Potato Soup and goat cheese. Goats need room to play and grow, so make sure the pen is spacious, and, if you can, take them for walks. Keep on top of cleaning the pen and keep the ground as dry as possible, otherwise warping and hoof rot will be right around the corner. And remember that goats are not like sheep. They are incredibly smart and problem solvers, so a good fence they can’t wiggle through, under, or jump over is essential to keeping them penned. It helps if you provide safe objects they can jump on or play with to keep them occupied. Overall, if you treat them right and put in the time, money, and effort, a Nubian will be an incredibly sweet and loyal animal to work with.